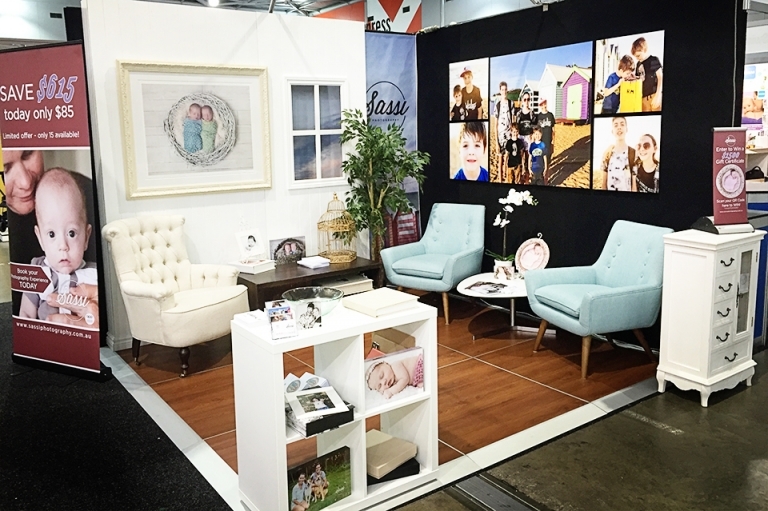 Recently, we attended the Pregnancy, Babies and Children’s Expo in Brisbane. It was an awesome weekend full of chats and laughs. We met so many excited mothers-to-be, fathers-to-be, parents, babies, families and friends and can’t wait to meet you all again in the studio! Thank to everyone that took the time to chat with Sara, Kayla, Kyra and Dan at the stand and enter the two competitions to win a $1500 Gift Certificate! We have drawn both competitions and are excited to announce the winners! Miss Stella must have known that her mum was going to win this competition…. Because, she couldn’t wait any longer and decided to come two weeks early, two days after she attended the Expo!! Danielle has already taken advantage of her certificate and came in for her personalised session with us on Monday. We absolutely loved meeting your gorgeous new family Danielle and we hope you love the photos. Laura has been sent her Gift Certificate and we look forward to meeting her again in the studio and photographing her loved ones. We have also been busily contacting our runner-up winners and cannot wait to have them in the studio. Our Calendar is quickly filling! Session times are limited so call us today on 3493 6363, to start planning your Photographic Experience & Artwork. Celebrate your life and your loves today with Photographic Artwork to cherish forever. Press pause on the moments you desire to enjoy forever and never forget how deep the love, the connections, the closeness, and the fleeting expressions of your loved ones move you. We look forward to seeing you all in the coming months!